Vehicle skins/camo in Eden editor appear faction locked. So Strider can't have NATO paint, even though it's available in VA, or NATO Ghosthawk can't have CTRG camo. Could you please remove this restriction, as it just causes inconvenience for no obvious benefit? One has to use setObjectTexture at the moment. Place down Strider, try giving it NATO paint from Eden. If it's got something to do with Apex, then just lock the Apex skins. 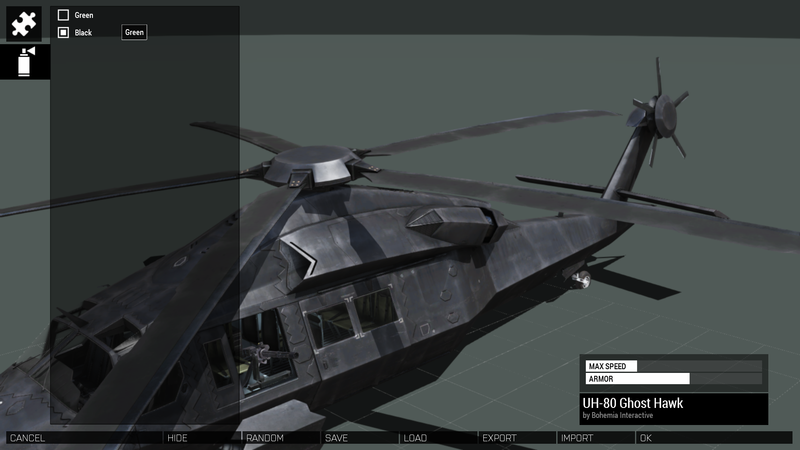 each vehicle or unit has specific camo. Some of them can have same camo as any other. 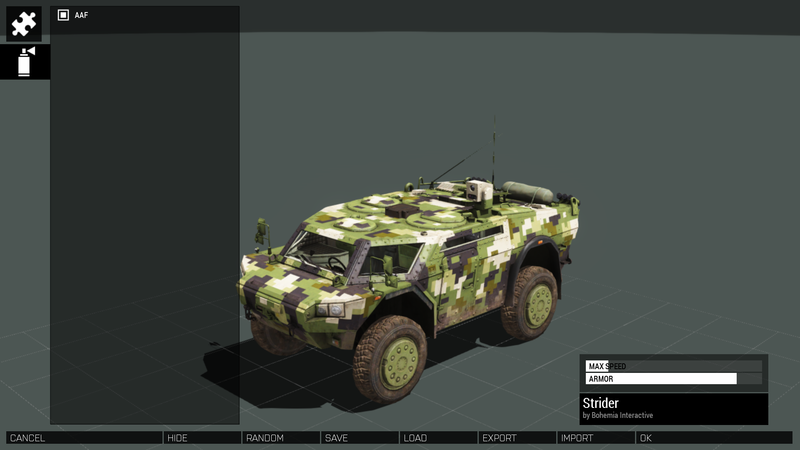 Strider can´t have NATO camo because it´s AAF vehicle. 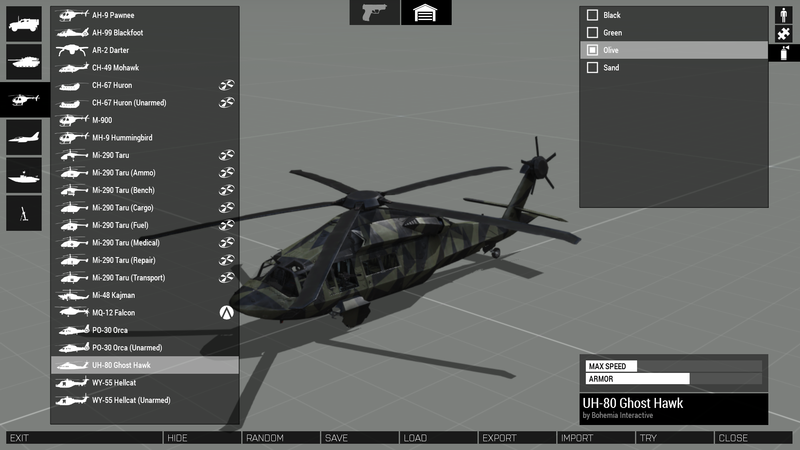 Generic NATO color for planes and helicopter is green and black. 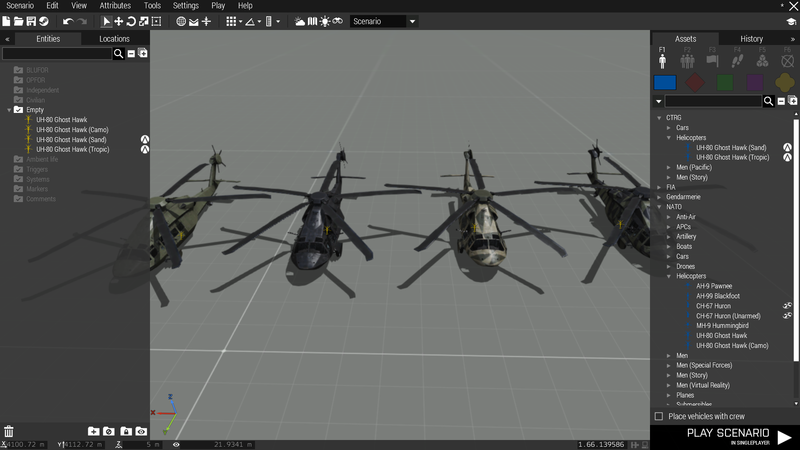 CTRG has no own helicopters because it uses clasic NATO assets. Each army has its own camo paint and sometimes can have two or more armies same or similar color. But it can from Virtual Arsenal? i.e. 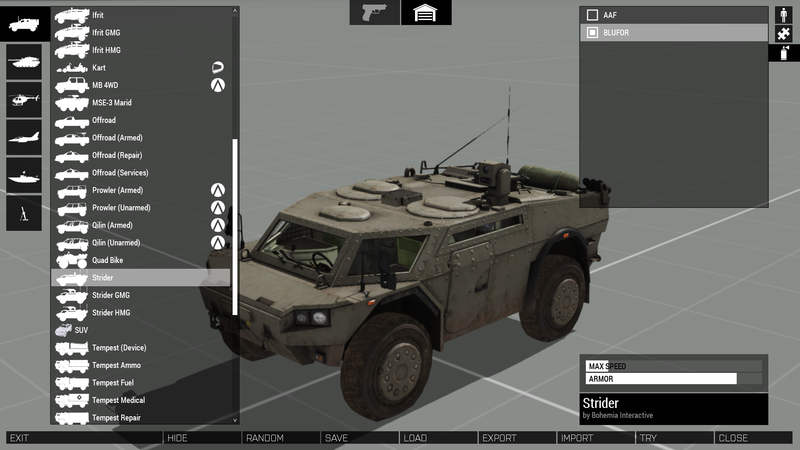 if you select a Strider and go to Virtual Garage, you can give it NATO skin. If you try the same from editor, you can't, but you can using setObjectTexture. The end result is inconvenience. My request is to make Case 2 like Case 1. 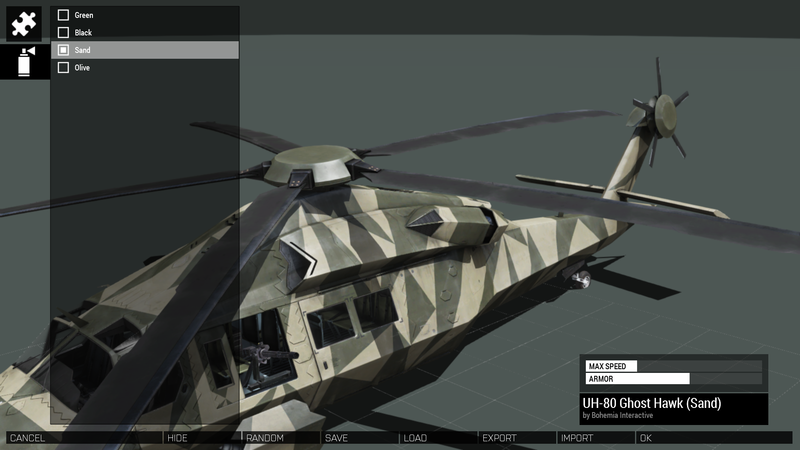 Yes, but again, you can give the Ghosthawk CTRG camo from the Virtual Garage, or if you place a CTRG Ghosthawk. You can't give a CTRG Ghosthawk NATO skin and vice-versa. I hope it's now clearer what I meant? Oh yes, you´re right. We´ll try to focus on it in future.